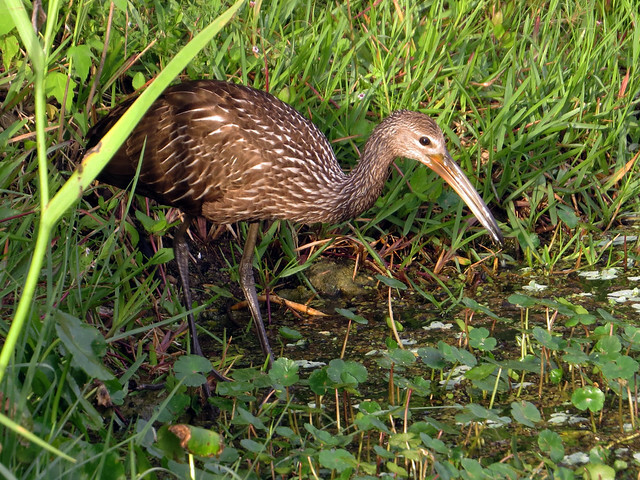 It took me a long time to find my FOY (First Of Year) Limpkin this year. 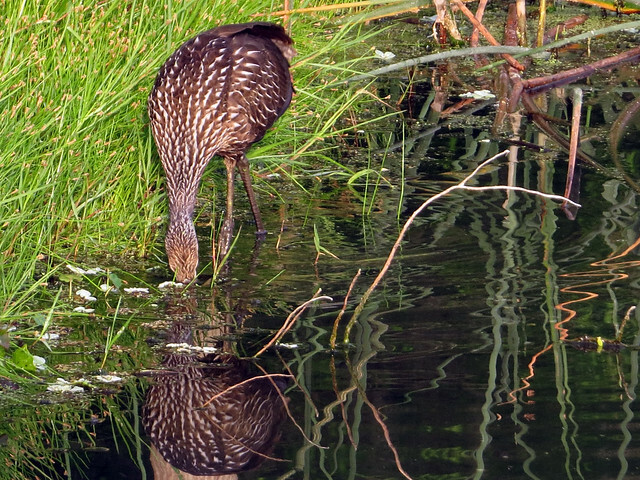 Just a couple of days later I spent some time watching an individual at Gemini Springs foraging for snails by the dam. All of the photos in this post were taken at Gemini Springs on April 29, 2013. It was interesting to see how much it work it was to get the snail out of the shell. 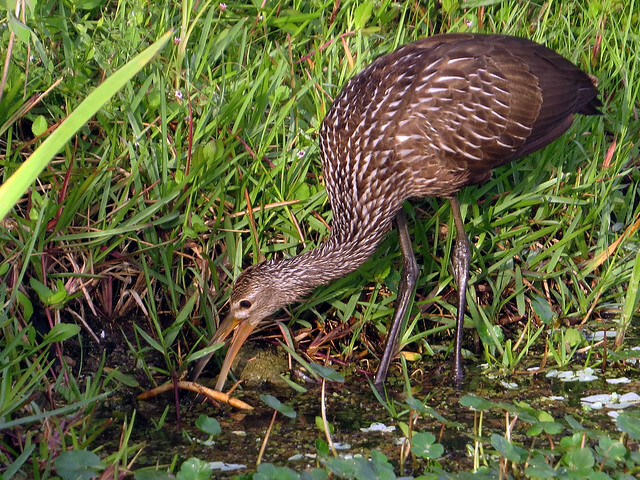 You can see the Limpkin banging on the snail and finally gulping down its prize in the video below. 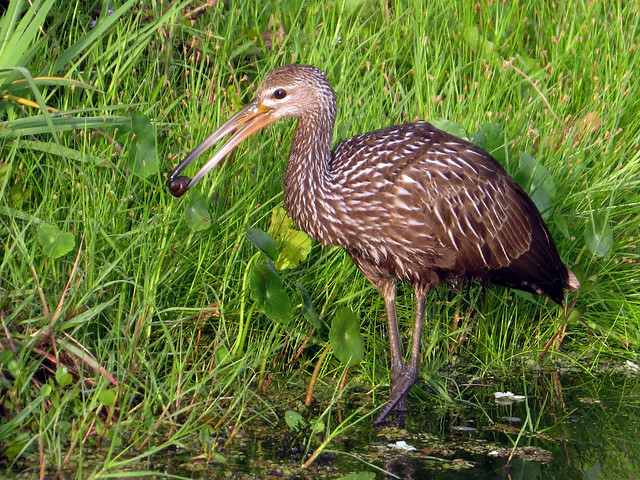 Though I haven’t seen many Limpkins this year, I know this species is often a target for out-of-state birders visiting Florida. 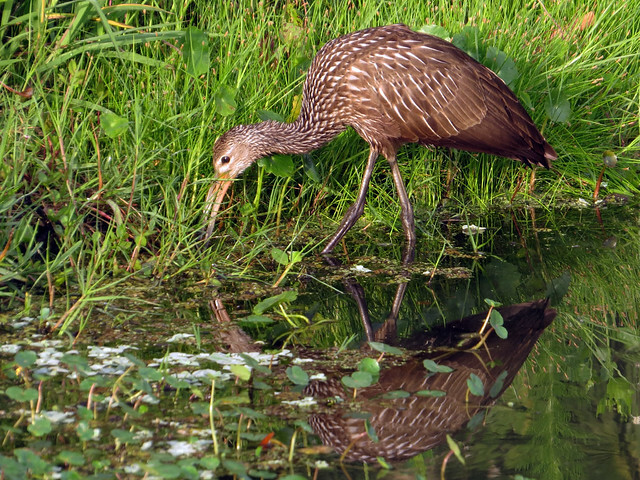 I do feel lucky that nearly every time I go out birding locally, there is a chance I could see a Limpkin. This entry was posted in Florida, Gemini Springs. Bookmark the permalink.